Criminalizing pot smoking will only drive tourists into the street looking for drugs and increase crime; unfortunately, the prime minister continues to push for foreign restrictions. Amsterdam’s famous coffee shops will remain open for business with foreign thrill-seekers despite the new government’s plan to restrict sales to locals only, the mayor said on Thursday. 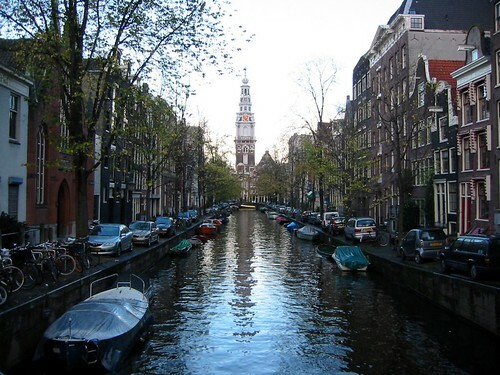 Approximately 1.5 million tourists visit Amsterdam’s coffee shops a year. Photo by Brent Simpson. In an interview with the leftist Volkskrant, Eberhard van der Laan said the city’s 220 coffee shops will continue to sell pot to customers even if they do not reside in the Netherlands. A Dutch coalition government, likely to be formed under re-elected Liberal Prime Minister Mark Rutte, is planning to restrict cannabis sales to tourists and require residents to show identification when entering some 670 coffee shops around the country. The new plan replaces the unpopular so-called “cannabis card” law which also stopped foreigners from buying pot but compelled locals to join cannabis cafés and having their names registered in a database. Some 1.5 million out of an estimated seven million foreign tourists to Amsterdam make a stop at one of its many coffee shops, the paper said. “These 1.5 million foreign visitors are not going to say: ‘Ok, then no more weed.’ They will roam across the city looking for drugs,” said Van der Laan. “If tourists are banned, all the advantages of our coffee shop system will be undone,” added Van der Laan, also a vehement opponent of the now scrapped cannabis card law. The now redundant law came into effect on May 1 in three southern provinces and its coverage was to broaden in January next year to include all coffee shops across the Netherlands. It was introduced to curb drug-tourism related phenomena like late-night revelry, traffic jams and hard drug dealing, but its detractors say it has simply pushed drug peddling onto the streets and led to a rise in criminality. Although cannabis is technically illegal in the Netherlands, the country in 1976 decriminalised possession of less than five grams (around a sixth of an ounce) of the substance.